Find the Perfect Gift for the Pet or Pet Lover in Your Life! Happy Holidays from Pets Best! It’s that time of year to spoil and pamper your furry family members and the pet lovers in your life. Pets Best is pleased to announce our 2017 Holiday Pet Gift Guide partners. We support these companies because of their commitment to keeping pets happy, healthy and safe while making a positive impact in their communities. 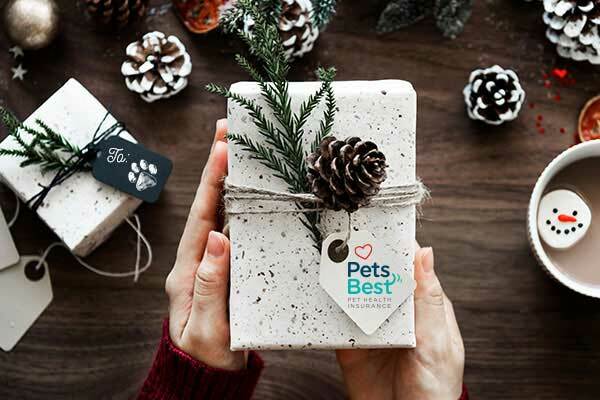 Don’t forget to give your pet and yourself the gift of peace of mind this holiday season when you enroll them in pet health insurance from Pets Best. Learn more about what pet insurance is here or click the button below to get a quote. Pets Best has secured an exclusive PrideBites discount! Save 20% on personalized blankets with code: PETSB20. We know that your pet is a special part of your family and our friends at PrideBites share our sentiments as well. Featured on Shark Tank, PrideBites was founded by a group of “dog loving college friends” who weren’t happy with the versatility of dog toys on the market. 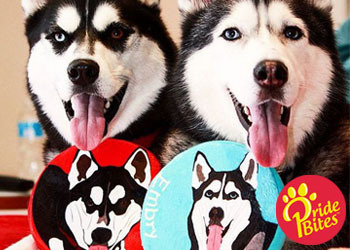 As a result, they put their vision into action and created a fun company where you can create personalized, one-of-a-kind gifts for your one-of-a-kind pooch. With PrideBites, it is easy to create fun, memorable gifts for your favorite canines this holiday season. Simply pick or create a design you like, personalize the item with your dog’s name and picture, and place your order via the PrideBites website. Made with soft, durable, easy-to-clean material, you can choose from a wide variety of dog toys, collars, beds, blankets and coats. Visit the PrideBites website here. For over 25 years, Microchip ID Systems has been dedicated to protecting and saving the lives of animals. As responsible pet owners, Pets Best encourages you to chip your cats and dogs in order to keep them safe. When pets are microchipped, it gives you peace of mind that you can monitor your pet’s location at any time and helps you easily find lost pets. Microchipped pets ease the burden of overcrowded shelters and rescues by helping them reunite owners with lost and runaway pets. Microchip ID Systems is also a part of the AAHA Microchip Lookup system where over 5,000 lost pets are searched for on a daily basis. 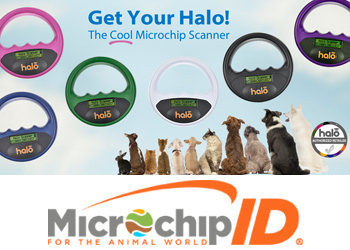 Visit the Microchip ID Systems website. 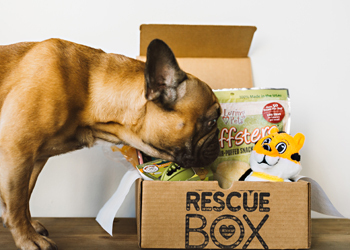 Spoil your beloved pets with RescueBox, a monthly box filled with healthy treats, engaging chews, fun toys and more. RescueBox caters to cats and dogs of all shapes and sizes. Each unique box of goodies is hand-selected by their team of passionate pet lovers. For each box purchased, RescueBox donates healthy food and crucial vaccines to shelter pets in need. Pets Best supports the its health-focused mission: pets that are well-fed and healthy have a better chance of finding a forever happy home. By signing up with RescueBox, it’s a win-win! Your fur baby will love his monthly box of goodies while you feel good giving back and helping out pets in need. Blue Dog Bakery has been dedicated to making healthy, all-natural pet treats since 1998. Blue Dog knows that a long and happy life goes “paw-in-paw” with good nutrition. 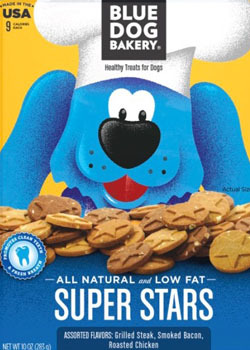 Pets Best gives Blue Dog Bakery a big thumbs up for their commitment to keeping pets healthy. As pet parents, it is important to monitor your pet’s food and feed them a wholesome, nutritious diet. Made responsibly in the USA, Blue Dog Bakery uses only the freshest and highest quality ingredients to ensure its treats are safe, healthy and delicious. Its sustainable treats are baked fresh and don’t use animal products, artificial flavoring, colors, or preservatives. Easily digestible, your pups will love these tasty treats that give them fresh breath and keep teeth strong. With products ranging from grain-free biscuits to the popular peanut butter and molasses treats to seasonal favorites such as pumpkin and gingerbread. Visit Blue Dog Bakery here. Pets Best has secured an exclusive discount at P.L.A.Y. Pet Lifestyle and You. Save 25% on the cat collection with code: PETSBEST25 and save 40% on dog bed covers with code: PETSBEST40. P.L.A.Y. Pet Lifestyle and You is where maximum comfort, quality, and design collide. The company was founded thanks to Momo the pug. Company owners could not find a comfortable dog bed for Momo so they designed their own high-quality dog bed for their sweet pug. We appreciate their commitment to reducing their carbon footprint while still keeping the needs of pets and the modern pet owner in mind. 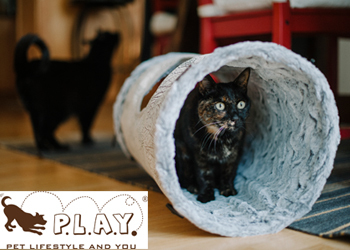 P.L.A.Y.’s easy-to-care-for products are made from sustainable, eco-friendly materials in fun, whimsical designs and are perfect for pampering the special pet in your life. Pets will love their comfy ergonomic dog beds, bed covers, blankets, and plush, interactive toys that keep pets active and healthy. Save $25 on your first booking! Treat your pet to a vacation – whether it be for an afternoon or a week, a walk or an overnight stay – by hiring a sitter through Rover.com. Rover offers pet care that fits every need, from dog walkers to daycare providers. Booking the perfect sitter for you and your dog’s needs is seamless. There’s a sitter for every schedule, as well as for every adorable quirk you dog may have. Book a sitter while you’re away and rest easy knowing your dog is having a great time. 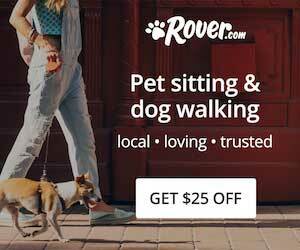 Get $25 off your first booking when you create your Rover.com account here.